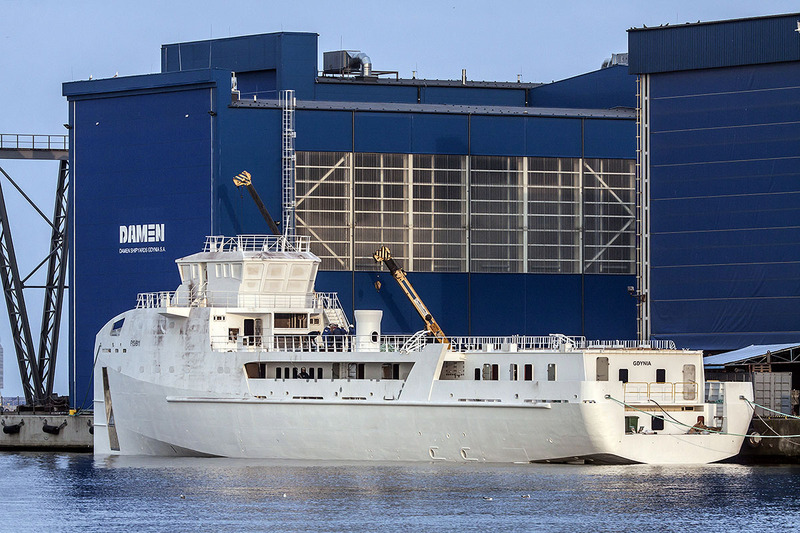 FYS 6911 hull shortly after launching and mooring at Damen Shipyards Gdynia production halls. Polish tug Leopard departed the port of Gdynia with newbuilding FYS 6911 on tow on March 9, afternoon. 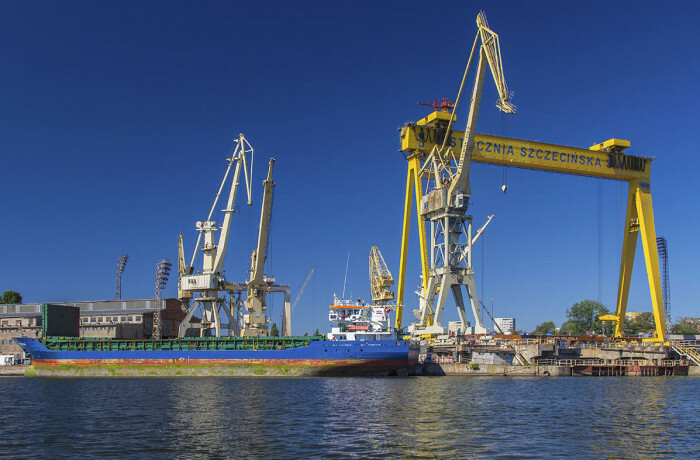 Two days earlier, on March 7, 2016, the hull was launched on hired syncrolift of Naval Shipyard Gdynia, following the skidding of the hull from Damen Shipyards Gdynia production hall onto a pontoon-barge. Over the recent years, Gdynia based Damen group member has been previously occupied with building fully equipped, turn-key delivery tugs, and – more recently – mainly partially outfitted hulls of superyachts for AMELS. 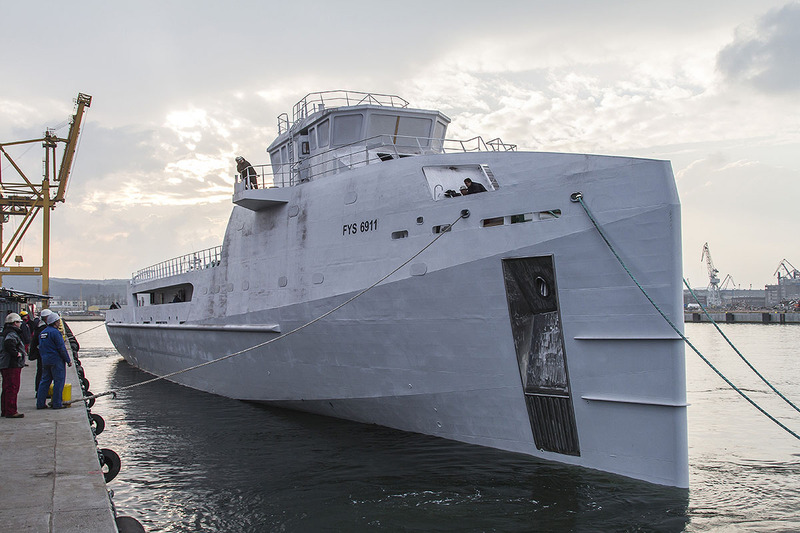 The recently launched and delivered FYS 6911 hull is the first ship of this type to be built in Poland and the second unit of Damen’s Sea Axe Yacht Support 6911 design. The tug with FYS 6911 on tow was expected to arrive in Rotterdam during night of March 14/15. FYS 6911 hull moored at Damen Shipyards Gdynia production halls. 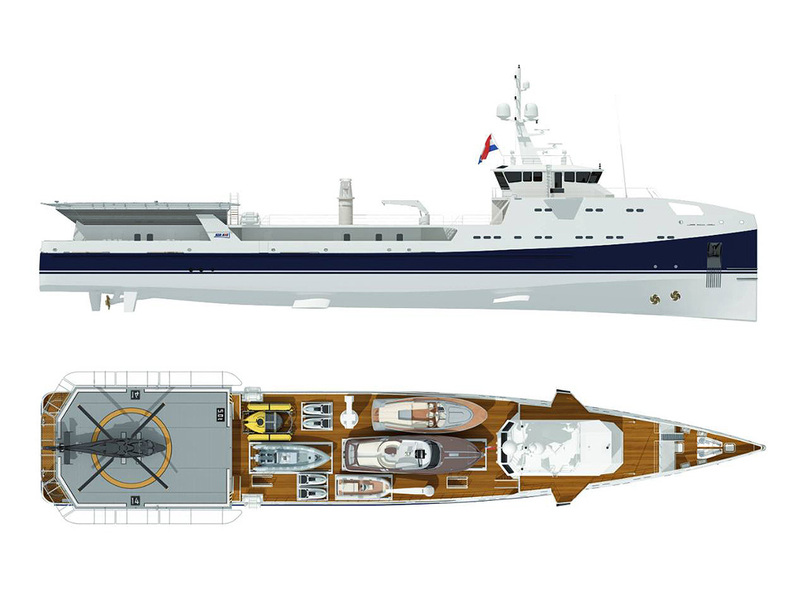 Last year, early June, the sale of a new 69-metre Yacht Support vessel (the first unit of 6911 design) was revealed, marking the next level of development for the successful Yacht Support range built by Damen in cooperation with Dutch luxury yacht builder AMELS of Damen Shipyards Group. The new Sea Axe 6911 was the first in the Yacht Support range to feature the ultimate technical area for serious superyacht helicopter operations – a fully enclosed hangar beneath the LY3 / MCA fully certified helideck. 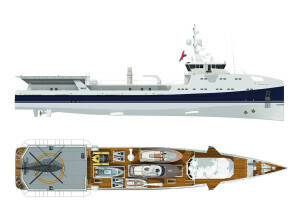 The above mentioned first newbuilding of the 9611 design, the Interpid, was launched earlier this year (apparently early March) at Damen Shipyards Gorinchem in the Netherlands and is scheduled for delivery in June 2016, being the fifth purpose-built Yacht Support vessel to be delivered since Damen and AMELS introduced the revolutionary new concept to the superyacht market in 2009. 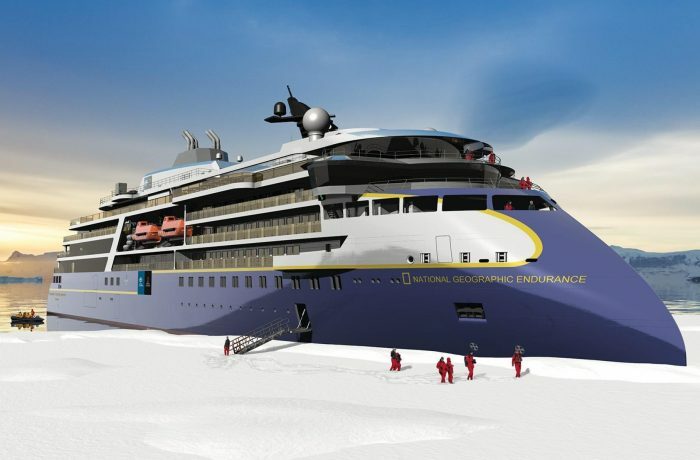 Heading the dedicated Yacht Support team at Damen, Product Director Mark Vermeulen says the new project builds on experience gained from previous deliveries 6711 and Garcon, as well as input from the client. 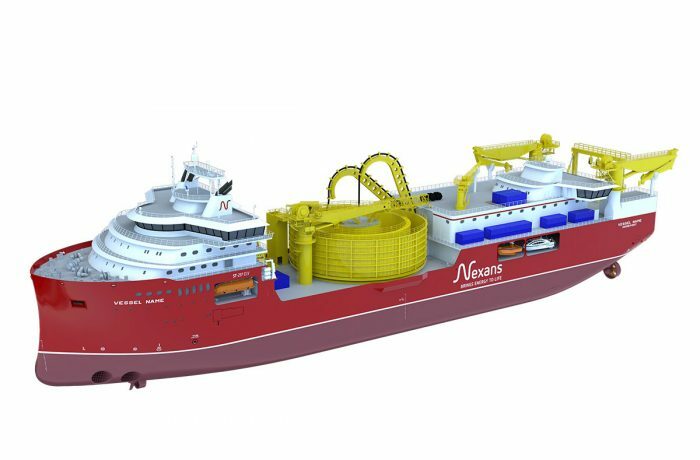 Sea Axe 6911 design renderization.